Several IFPRI-based GFSF researchers were pleased to join with other authors from AgMIP (led by Tomoko Hasegawa from the National Institute for Environmental Studies of Japan) to publish an article, "Risk of increased food insecurity under stringent global climate change mitigation policy," in Nature Climate Change. The article can be found at https://doi.org/10.1038/s41558-018-0230-x. 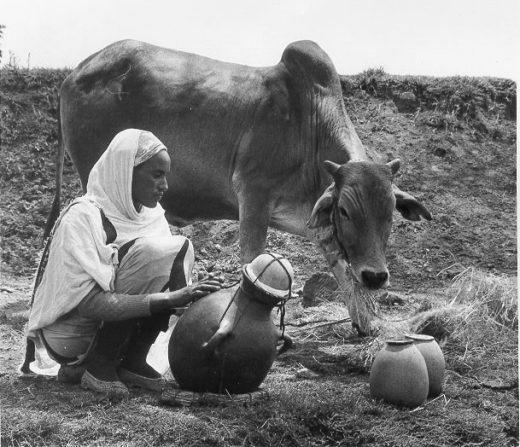 One of the key findings of the article is that implementation of strict climate mitigation policies can have an even greater effect on food security than climate change itself, at least until mid-century. There are important additional messages that should not be overshadowed by this finding, however. The emphasis here should be that careful consideration of different policy alternatives and complementary programs will be needed to avoid unintended consequences. Climate change effects are expected to be much more severe later in the century than what we are likely to experience between now and 2050. Mitigation is necessary to reduce the burden of these effects, especially in tropical and lower income countries where they are likely to be the most severe. Thus, many of the benefits of (mindful) climate mitigation actions taken sooner rather than later will likely be stronger in the latter half of this century. 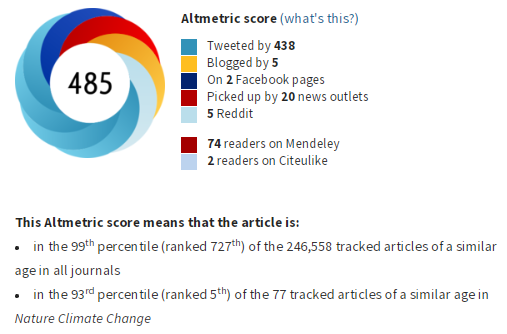 This was a provocative study and it is stimulating a good deal of discussion across news and social media sources (see Altmetric score at this link). Hopefully this active exchange of ideas will help inspire smarter designs for implementation of climate mitigation policies and programs. As part of the Sustainable Development Goals (SDGs), world leaders have committed to ending hunger by 2030. Yet despite unprecedented progress made in recent decades, the world is not on track to reach the goal. Current levels of spending to end hunger are inadequate. Global Futures and Strategic Foresight researchers working with IFPRI’s IMPACT model joined with other IFPRI colleagues to produce a joint issue brief examining the different assessments of the cost of ending hunger and undernutrition in the world by 2030. Estimates range from US$7 billion to US$265 billion of increased investments necessary per year. The different estimates arise from the varied target objectives of each approach, different investment strategies considered, and the diversity in modeling frameworks. Each approach has its strengths and caveats. This peer-reviewed publication is available at https://doi.org/10.2499/9780896292994. 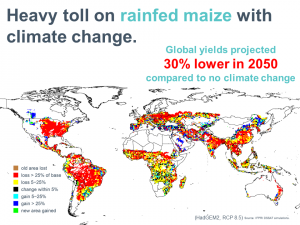 Shenggen Fan, IFPRI's Director General, has also posted a short synopsis on the IFPRI blog. Bananas and plantains (Musa spp.) provide a major source of food and income for over 30 million people in Eastern and Central Africa (ECA). Uganda produces an estimated 10 million tonnes annually valued at about US$550 million. Most ECA bananas are domestically consumed with the highest global per capita consumption of over 200 kg. Banana Xanthomonas Wilt (BXW), a bacterial disease, emerged in Uganda in 2001 and has since proved to have a devastating effect on banana production, with up to 100% loss if no management practices are adopted. To control the disease, farmers can adopt a package of practices, including single diseased stem removal and cleaning of tools to prevent contamination. Alternatively, resistant cultivars are under development. Several policy interventions are thus available but it is not clear which will have the greatest impact on curbing the spread of BXW while minimizing the costs. The research will answer the question: What will be the socio-economic impact of BXW spread in Uganda until 2050 if there are no policy interventions, and under different interventions? This highly complex question requires an integrated modelling approach which can be modelled to see the impact of different interventions on banana production, producers’ revenue, market prices, consumption and nutrition, and link them to costs for different actors, starting from the government and ending with farmers. To address such different areas of focus and implications at multiple scales, from the farm to (inter)national level, the research brings together a highly multidisciplinary team hailing from different CGIAR research centres, different disciplines (agronomists, economists, plant pathologists, mathematicians), different CGIAR research programmes (CRP), different flagships within the roots, tubers and bananas (RTB) CRP, together with representatives of Makerere University and the National Agricultural Research Organization of Uganda. This innovative research links various models in order to understand the economic impact of pest and disease spread. We start with the dynamic global partial equilibrium model – IMPACT, developed by the International Food Policy Research Institute (IFPRI) with support from the CGIAR Research Program on Policies, Institutions and Markets (PIM). This is an economic simulation model for analysis of long-term agricultural markets and food security. A crop disease mapping model based on statistical analysis of survey data will be combined with a mathematical model for disease spread dynamics, in order to inform the IMPACT model about the dynamics of BXW spread and its consequences for yield loss. Additionally, we will systematically assess costs borne by different actors in the food system. By combining expertise from RTB research clusters on resilient crops, banana bacterial wilt, improved livelihoods at scale, foresight and impact assessment, and sustainable intensification/ diversification, and linking those with the IMPACT model, we have the potential to make innovative breakthroughs that can truly make a difference in the management of the devastating BXW disease and defend Uganda’s economic base and food security. Read the original article and learn more about Banana Xanthomonas Wilt on the Bioversity International website. This research is part of the CGIAR Research Program on Roots, Tubers and Bananas and is supported by CGIAR Funders. 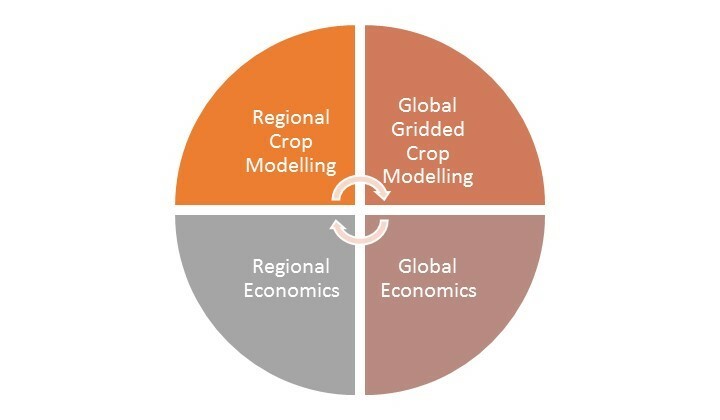 Additional support, for the IMPACT modelling part was provided by the CGIAR Research Program on Policies, Institutions and Markets (PIM) through the Global Futures and Strategic Foresight project. 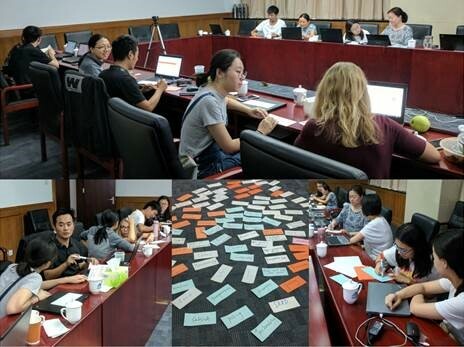 In collaboration with the Chinese Academy of Agricultural Sciences (CAAS), the International Food Policy Research Institute (IFPRI) presented a 5-day short-course on scenario analysis and economic modeling with IFPRI’s International Model for Policy Analysis of Agricultural Commodities and Trade (IMPACT). The course was hosted by CAAS in Beijing, China from 18-22 September 2017. The course was organized with the objective to introduce IMPACT to 12 participants invited by CAAS, and to help them determine how IMPACT might be used to contribute to their current research on Sino-African technology transfers, as well as potential China-specific country analysis. The course was led by Daniel Mason-D’Croz and Shahnila Dunston of IFPRI’s IMPACT team. 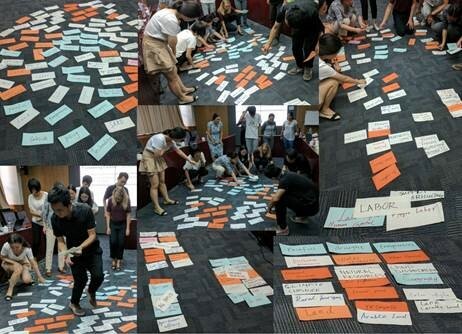 They presented materials on a variety of scenario design methodologies, an introduction to how to use IMPACT, as well as the underlying economic theory behind IMPACT. The course was organized to be interactive, and walked participants through practical exercises of how IFPRI uses IMPACT to conduct ex-ante analysis. The course provided a valuable opportunity to network with China experts, and to hopefully will serve as the basis of future collaboration and knowledge exchange between CAAS and IFPRI. 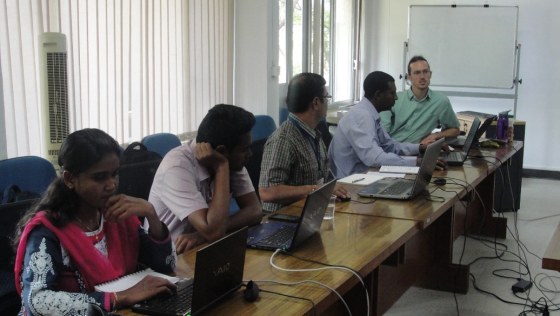 Keith Wiebe of IFPRI also joined Daniel and Shahnila to meet with CAAS officials regarding possible next steps for collaboration. Over the last decade, computer models of crop growth have increasingly been used to understand how climate change may affect the world's capacity to produce food. The International Food Policy Research Institute (IFPRI) has undertaken a major sustained effort to analyze changes in the productivity of major crops across the entire world. The results are integrated into economic modeling efforts ranging from household to country-level economy-wide models to the global agricultural sector partial-equilibrium economic model known as IMPACT. With the models working together, researchers can examine how biophysical changes in crop growth interact with changes in social and economic conditions. Now, for the first time, IFPRI is releasing a comprehensive volume describing the global-scale crop modeling system behind IMPACT known as “Mink” for short. Download here. Mink generates yield maps for the entire world that can be compared to identify locations most likely to be affected by climate change. 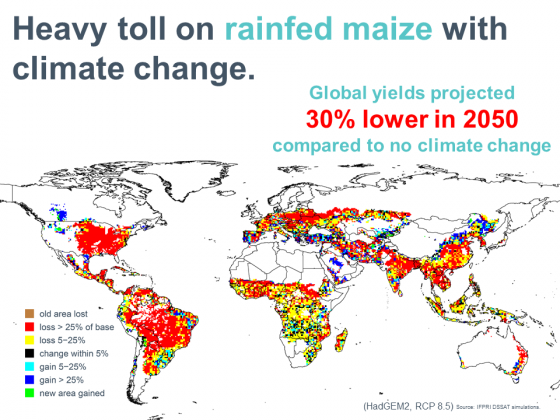 Crop modeling starts at the field level and scaling this up to the global level is challenging. Climate data must be collated, processed, and formatted. Representative crop varieties and planting calendars have to be chosen. Fertilizer input levels need to be specified. Myriad other assumptions need to be considered and appropriate values and strategies determined. And that is just the preparation phase. All the data then have to be organized, exported, and run through the crop models to obtain simulated yields under different climate scenarios and production environments. This necessitates employing parallel computing to get the job done quickly enough to be useful. And then the reams of output data must be organized, manipulated, analyzed, and finally interpreted to provide context as well as specific information so policymakers can plan appropriately for the future. Collaborators from across the CGIAR and universities in India gather at ICRISAT to learn how to use Mink in support of their own research. Naturally, with so much going on, the process can be mysterious for those looking in from the outside and potentially confusing even for those on the inside. The document addresses how Mink works at several different levels. There is the broad discussion of interest to policymakers and managers concerning how global-scale crop modeling can be used, its strengths and weaknesses, how to think about the issues, and where it sits in the wider context of agricultural and policy research. At a middle level, every step of the process is described for those who wish to understand how it works so they can use the results properly, but not necessarily generate the numbers themselves. Along the way, though, various tips, tricks, and lessons learned are revealed for those who do, in fact, wish to replicate this kind of work on their own. And finally, for collaborators and researchers who wish to use Mink themselves, there is the nitty-gritty, nuts-and-bolts level documentation and tutorial aspects that literally say "Change this number; click here and drag there." We hope this volume will be a valuable resource for global modelers running simulations, their collaborators making use of the results, and ultimately for policymakers trying to determine appropriate courses of action in a changing world. 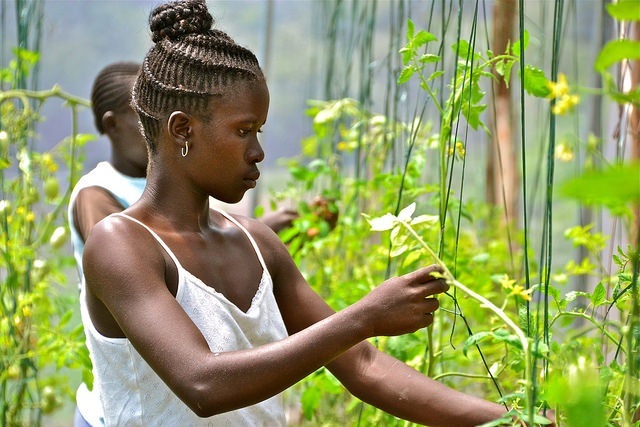 Major and ongoing support for this work has been provided by the Bill & Melinda Gates Foundation and the CGIAR Research Program on Policies, Institutions, and Markets (PIM) through the Global Futures and Strategic Foresight Project.